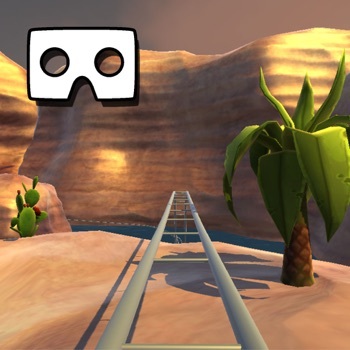 Ride through canyons and enjoy our VR Canyon RollerCoaster Ride. Our game offers more then a minute long VR experience. Awesome virtual reality experience for whole familly. Ride on a deserted rail road track in fabulous world of wild west. Note: This app requires a VR headset (Google Cardboard, Durovis Dive, Dodocase VR, VRelia GO, Homido) for best results. If you like VR Canyon RollerCoaster Ride, please give it a rate and a review.